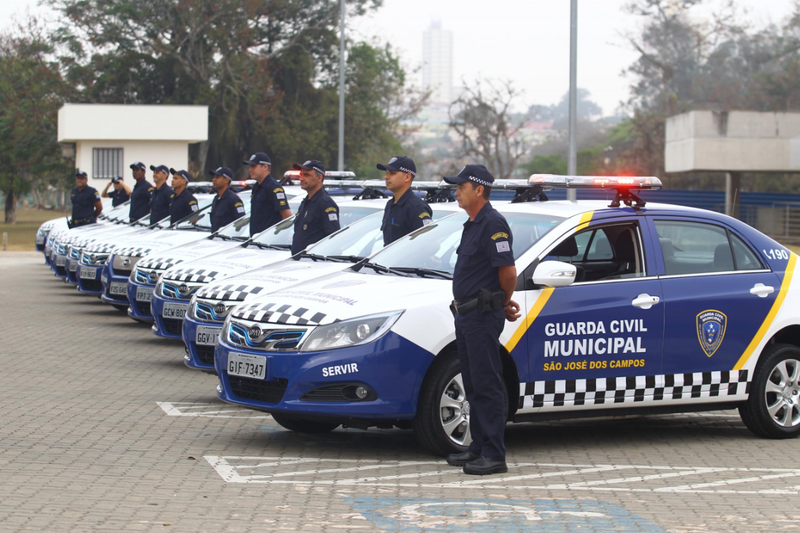 The Brazilian city of São José dos Campos is electrifying the fleet of vehicles used by the Secretariat of Citizen Protection thanks to 30 new fully electric vehicles from BYD. The 29 new BYD e5s and 1 BYD e6 leased vehicles were delivered on July 26th and will be used by the local police force. The deal represents BYD’s largest automotive deal in the country to date, and a good sign that fleets continue to explore the potential of fleet electrification to reduce local transportation emissions. “BYD believes it is important to contribute effectively to a sustainable society. The company has similar projects to supply EV fleets in the area of public safety in China,” said Adriano Caputo, Sales Manager of BYD Brazil. BYD’s environmentally friendly, low maintenance, and zero emission vehicles made them an obvious choice when bids for the deal were received. BYD won the public bid when it closed in April with a leasing plan to supply police and other governmental agencies in the city with its vehicles. Brazil is starting the slow process of transitioning its fleets to electric and hybrid cars, which is encouraged by a new municipal law that went into effect in March of this year. Brazil sees these two cars as key drivers of lower cost of operations, lower levels of pollution in cities, and lower noise levels in cities — all of which provide meaningful improvements in the quality of life for city dwellers. Also, just think about how much sneakier the police force will be cruising around in nearly silent electric vehicles.